Dig and scoop. Here comes a backhoe. 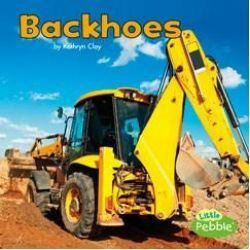 Large, colorful photographs and easy-to-read text gives young learners an up-close look at their favorite construction vehicles. Grade K-2. Ages 4-8. Paperback.